The Malta Communications Authority, the Malta Competition and Consumer Affairs Authority, and the European Consumer Centre in Malta have launched a series of free information sessions on online shopping for the general public. The aim of these sessions is to inform consumers about the process of online shopping, to make them aware of their rights, and to inform them on how to spot dangerous websites, amongst others. 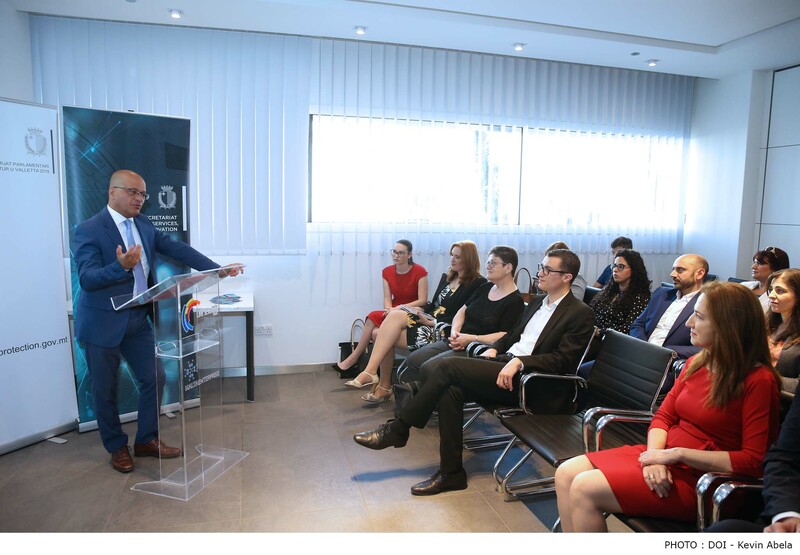 Parliamentary Secretary for Financial Services, Digital Economy and Innovation Silvio Schembri emphasized the importance for customers to be more aware on the services offered when buying online. Schembri referred to a study that was carried out two years ago by the Malta Communications Authority which showed that 78% of the online users are digital buyers while some customers expressed their concerns on buying online due to the fact that that are not able to see the product beforehand or due to the lack of information on how one should buy online. ‘Therefore the initiative between the Malta Communications Authroity and the Malta Competition and Consumers Affair Authority is ideal in order to inform consumers about their rights and obligations when buying online” said Schembri. Parliamentary Secretary for Consumer Protection and Valletta 2018 Deo Debattista also reminded how consumers need to be best informed about the digital market and how they can benefit from it. “This is why more emphasis should be made on educating the consumers on their rights and obbligations so as to ensure that the consumers are taking with them the best possible experience whilst shopping online. The information sessions launched today are aimed at giving all this information to Maltese Consumers, so they can enjoy all the benefits of online shopping without being put at risk”, Debattista said. Each session will be two hours in length and will be addressed by trained professionals. All those interested can register by calling 21 255 495.